Voting is open November 15 to December 15. Who will be the best in Orlando? The choice is yours. 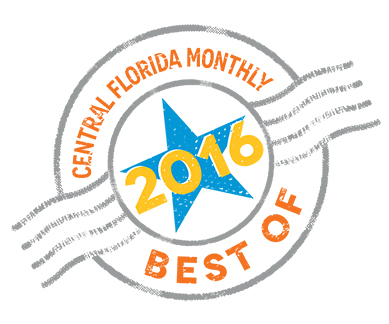 Welcome to Central Florida Monthly’s Best of Orlando 2016 Readers’ Poll! The nomination period was open October 6 to November 14. Today, the top five nominees in 18 categories are moving forward to the final voting round open through December 15—and it’s up to YOU to choose the winners. Winners will be announced and celebrated at Central Florida Monthly’s January Social. CFM newsletter subscribers will get a sneak peek at the full list of winners—so, be sure to sign up (at the bottom of this page) after you finish voting. Vote once. Share often. Let’s do this, Orlando! Mobile? Take the survey here. Grab the graphics from this page and share them on your website and social media platforms, or print a poster to display in your business. At a loss for words? No problemo. Feel free to use these suggestions for your website, email newsletters and social media platforms. The official Best of Orlando 2016 hashtag is #CFMbestof2016. We’ll share all posts using the official hashtag. And #orlando, of course. Tag us in all your posts. And be sure to follow us on our social outlets so you can see us showing you the love.